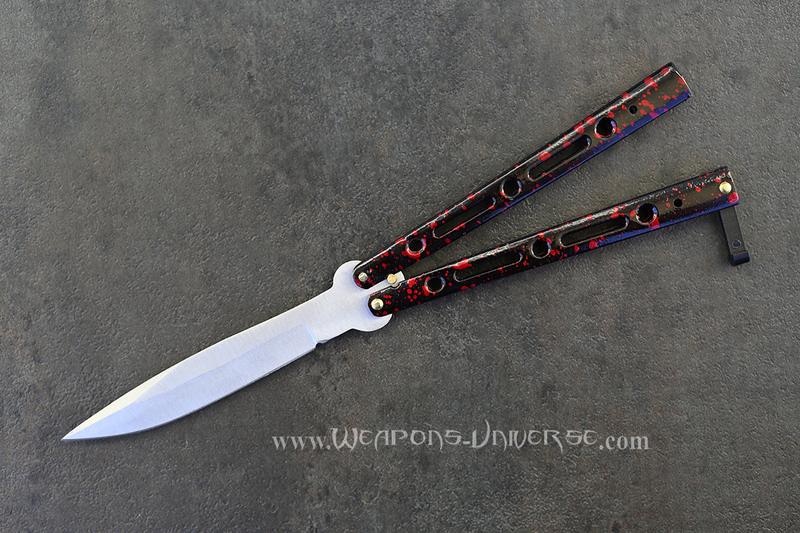 Deluxe Butterfly Knife, Red Grunge. 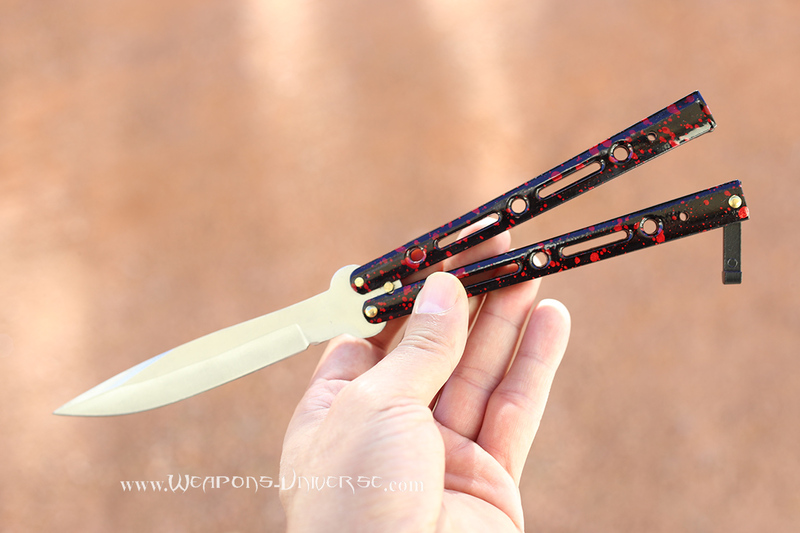 Practice, show off your moves, become a master with this great classic balisong knife. Stainless steel 5 inch blade, 11 inches overall. Authentic butterfly knife, available in different colors and designs. Easily fits in your pocket. 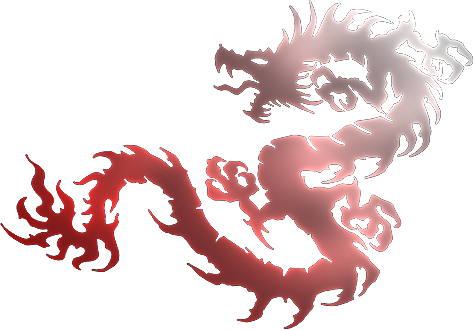 Great for self defense.